The Sand Labyrinth Kit, (Tuttle Publishers) and The Sacred Path Companion: A Guide to Walking the Labyrinth to Heal and Transform (Riverhead, 2006). Lauren is a priest of the Episcopal Church, and her home parish is Grace Cathedral in San Francisco, California. From 1986 to 1992, she served as Canon Pastor and then as Canon for Special Ministries until August 2004. In May of 2006, her rediscovery of the labyrinth was honored by Grace Cathedral and she was designated Honorary Canon, a lifetime title. In 1991, while on a brief sabbatical, Lauren walked an informal taped labyrinth through the work of Jean Houston. The idea gestated for a few months and then she was compelled to go to Chartres Cathedral, where she moved the chairs and walked the medieval labyrinth. This courageous act has led to the rediscovery of the labyrinth. Lauren not only introduced the walking meditation back into the Christian tradition but also introduced the labyrinth back into Western culture. By December 1991, she had replicated the Medieval Eleven Circuit Labyrinth at Grace Cathedral beginning in canvas form. Due to the enormous response of people desiring to learn a walking meditation, the tapestry labyrinth was installed inside the Cathedral in 1994. The outdoor terrazzo labyrinth was installed in the Interfaith Meditation Garden in 1995. In 2007, Grace Cathedral installed a permanent limestone labyrinth in the floor to replace the tapestry labyrinth. Veriditas is storing the carpet until it can realize its vision of a retreat center where the tapestry labyrinth will once again have a home. In 1995, Lauren created the non-profit Veriditas as a 501c3, with the initial vision of "peppering the planet with labyrinths". After successfully launching thousands of labyrinths in churches, hospitals, cathedrals, prisons, spas, community parks, hospices and other settings, a new mission for Veriditas emerged: To facilitate the transformation of the human spirit through offering the Labyrinth Experience. Lauren travels worldwide offering workshops and lectures on the labyrinth, Hildegard of Bingen, Opening the Divine Imagination, Taking That Creative Leap ~ Navigating A Life Transition, and on other topics related to the spiritual journey and the mystical life. She creates large group experiences that nurture the connection between the human and divine such as Walking a Sacred Path held twice a year in Chartres Cathedral. Lauren is a much sought after Keynote speaker, an Episcopal priest and licensed as a psychotherapist in the State of California. She holds a Bachelor's Degree in Special Education from Ohio State University and a Master's of Education from Princeton Theological Seminary. She received her analytic training in Object Relations and Systems Theory at The Blanton-Peale Graduate Institute at The Institute of Religion and Health in New York City. Her Doctor of Ministry degree was granted in 1986 from Andover Newton Theological School in Boston Massachusetts in Pastoral Psychology. Lauren is the Director of the Spiritual Direction program at Wisdom University. She is a Diplomate in the American Association for Pastoral Counselors and a Clinical Member in the American Association for Marriage and Family Therapists and a Marriage and Family Therapist in the State of California. She sits on the Editorial Board of Presence Magazine and is a Panelist for the On Faith series sponsored by Newsweek Magazine and the Washington Post. Rita Canning contracts with Veriditas to do development work. She has been involved in nonprofit fund development for over 15 years, working for such organizations as United Way to successfully increase their annual funding. She believes that excellence in relationship building with donors, grantors, community leaders and volunteers is the fundamental key to any long-term, successful fund raising and development efforts. Rita is also a life coach and spiritual counselor. She uses a synthesis of Eastern and Western spiritual teachings to facilitate personal transformation and awakening, as well as inspire others to work for world peace through various forms of prayer. Rita has lived in the North Bay are for over 20 years. She is grateful for the joy of having raised a wonderful son, now an adult, and enjoys meditation, spiritual company, and being in the beauty of nature. My name is Pamela Cole and I’m the bookkeeper on contract for Veriditas. I have degrees in psychology and art. A career as a potter and florist led me to realize I wanted to be creative for the joy of art for art’s sake not for money. So, in 2000, I decided to become a bookkeeper. Applying my bookkeeping career towards supporting the efforts of socially conscious and spiritually uplifting organizations led me to Veriditas. I also work for The Institute of Noetic Sciences (IONS) as the human resources administrator and the manager/purchasing agent for the IONS EarthRise Bookstore. I have been with Veriditas for over a year and have met wonderful people in this organization. I have had some great experiences walking the labyrinth. Working with Dawn, Anne and Lauren has been very inspiring. I am excited to continue my work with Veriditas. Dawn Matheny is a seasoned administrator who has worked for over 30 years, running programs in local government and non-profits. She has a Bachelor's Degree in Psychology from University of California in Santa Cruz, a Masters Degree in Counseling from Sonoma State University, and a Doctorate in East West Psychology from the California Institute of Integral Studies. Dawn started her work life in the non-profit sector, working in a children's residential treatment program and a volunteer bureau and then as an executive director of a shelter program for women and children who had been victims of domestic violence where she supervised 11 staff and 40 volunteers. She worked with the board to raise funds for both operational and capitol budgets. In 1984, she was hired by the County of Sonoma to create a volunteer program that would serve County departments. That program grew to over 2,000 volunteers who do a wide variety of tasks from tutoring kids in juvenile hall, walking trails in parks, to cat cuddling in the animal shelter. Dawn's job expanded over the years and involved many projects and assignments including producing on large scale recognition events, editing a 12 page monthly newsletter, and culminating in the coordination of two public sector commissions, the Commission on the Status of Women and the Commission on Human Rights. She ended her career in county government to accept the position with Veriditas. Dawn's doctoral dissertation was titled" Dreaming: the Relationship to Self", in which she explored the various ways that people have of relating to their dreams. Dawn is a member of the Association of the Study of Dreams and has made numerous presentations in classes and at conferences on dream related topics. 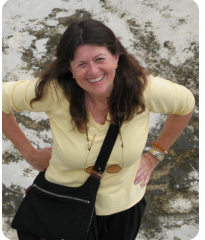 After getting her Ph.D., Dawn taught Qualitative Research and Research Methods as adjunct faculty at John F. Kennedy University and the Institute of Integral Studies. Dawn got involved with the labyrinth by attending and then assisting with Women's Dream Quests over the past six years. 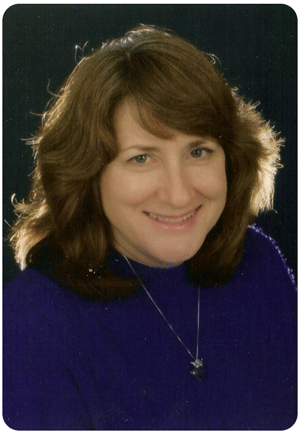 With strong administrative, organizational and people skills, Dawn is delighted to join Rev. Dr. Lauren Artress in building Veriditas to promote the wisdom of the labyrinth. Anne Bull was born and raised in South Africa, where the stark life-quality contrasts, of mansions on one side of the street and makeshift shantytowns on the other, was so glaring that it inspired her to dedicate her life to making a meaningful difference in the world. She moved to the US in 1996 and enrolled at the University of South Africa (a correspondence university) where she completed her BA in Health Sciences and Social Services with Specialization in Applied Psychology for Professional, Contexts. Together with her training in graphic design, this communications-based degree has helped guide her work with non-profit organizations over the last 10 years. Anne’s spiritual journey has included many years of meditation practice. She is now an assistant Zen Teacher and an ordained Soto Zen Buddhist Priest. She served on the High Mountain Crystal Lake Zen Community Board of Directors for seven years. During that time she also worked part-time as their Communications Director In June 2008, she moved to Montague Massachusetts to support the work of the Zen Peacemakers, an organization dedicated to social service. She served as their Communications Director, Event Coordinator, assistant to the Vice President and Office Manager. At the end of 2009, Anne relocated to California with her dog Emma, to be closer to family. She and her young niece share a bundle of giggles! In addition to walking the Labyrinth, Anne enjoys gardening, yoga, meditation, cycling, tennis, reading, playing guitar & singing, and playing Native American flute. She is also pitching in, with her husband, on the development of an organic farm in Sonoma County. She is delighted to be part of the Veriditas team, and enjoys contributing to furthering this meaningful work in the world. 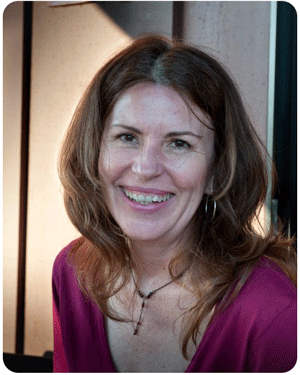 Kathleen Stewart is a native Californian who came to Sonoma County from suburban Los Angeles to get a BA in Humanistic Psychology at Sonoma State University. She began working in non-profit social services and then went on to employment in publishing, natural foods industry, ecological restoration field, and ended up in local government where she was a case manager and domestic violence specialist for County of Sonoma for 12 years. Throughout her years of employment, Kathleen has completed innumerable trainings on topics ranging from the proper usage of grammar to managing chaos in the workplace. She also has completed graduate units towards her master's of social work and counseling. Kathleen continued a personal study of psychology and spiritually after studying psychology formally, spending more than a decade immersed in reading studies in Jungian psychology by Jungian analysts - most notably Marion Woodman - and spirituality. Kathleen has practiced yoga with a small group of devoted yoginis for 13 years. With her interest and evolving understanding of symbols and archetypes, her love of spirit and meditation, along with a set of core administrative skills, Kathleen is elated to join the team at Veriditas. She lives in rural Sonoma County with beloved family.